I love color! I’ve drooled over solids from time to time, admiring the variety of tones within one color group. I convinced myself decided to purchase a color card for the Kona Cottons, after spending far too long deliberating the “perfect” color. Faster decisions for me! I’ve enjoyed admiring the board, imagining what I will do next. Have you made a solid quilt? I made the Hooters! quilt using about 90% kona solids, just used a little owl print in the center of each block, and honestly? It's my favorite quilt, all those bright, hot colors! Wish I had a kona card, though! One of these days….. 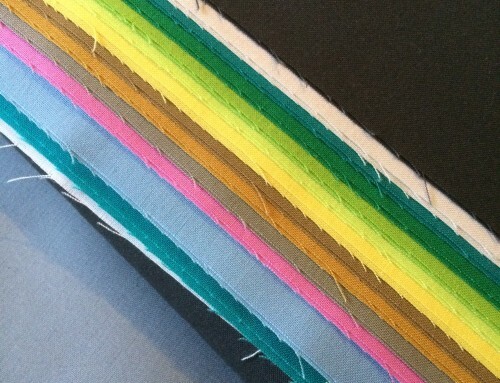 The color card is a must have for all quilters who love these solids. That is how I place my orders to stock my shop. You need to get the right colors for sure. i've made quilts with all batiks before. i do have all the kona solids purchased and waiting patiently for a QOV. all dark blue and various yellow/golds and i think it'll be stunning when put together. I bought one of those cards when Kathy first stocked them at Pink Chalk Fabrics. Best decision ever! I love it! I have not made an all solids quilt yet, however, it is on the ever growing list. Whenever I look at that card I think of all of the fun color combination I could make. Have fun! I have never made a solid colored quilt, but I do so love Kona Cottons. They are so great to use in most any quilt. Love your color card. Quite a rainbow of color. I do like Kona Cottons. They are wonderful. I use the the white for Redwork. But a quilt of all solids I am not so sure about. I should try it sometime. Thank you for sharing. oops, I bought the fabric and the pattern over 7 years ago and still haven't made it, i think I am afraid of the amount of hand quilting. I just finished up a "Plain Spoken" Quilt. It turned out even better than I could've imagined. Who knew solids would be so beautiful! I will definitely be making another "all solids" quilt. 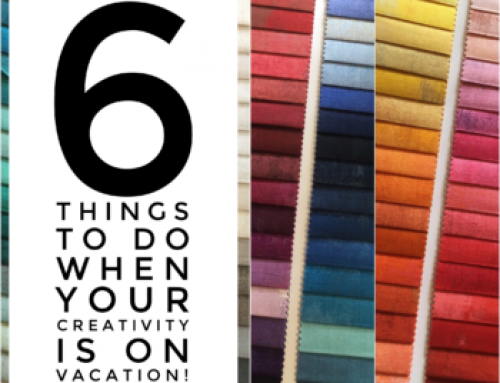 I have a solid color quilt on my list of things to do too. Yes, I have made a few all solids quilts (one of them was the one I entered into your Quilt Show), and I will make more. I think working with solids gives another perspective on colour and design. I have a stash of Kona Cottons in every shade, tint and tone imaginable (present from husband running late with his birthday shopping) and I love them all. I bought the color card, quite a few solid half-yard cuts, and then I found a great source of whole bolts, so I bought Kona white, snow, and ash. Now I need to start sewing! I've made a wall hanging of solids out of the Kaffe Shot Cottons that I love. I really would like to make something bigger with them. It's also on my list! I love your Kona board. Great inspiration. I have the Moda Bella color card…and just ordered the Kona one…can't wait to get it! I just ordered my Kona color card from Kathy over the weekend. I have wanted it for a while and finally ordered it. 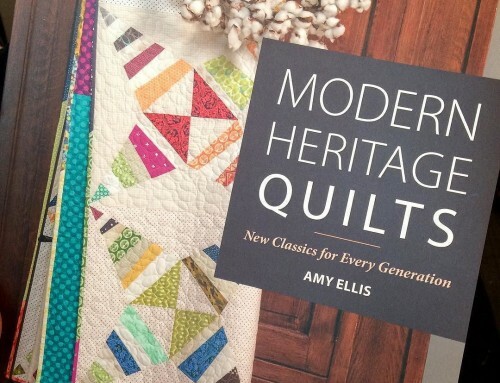 I want to make a solid quilt for my son, probably one from The Modern Quilt Workshop book. I just can't find solids anywhere locally! So now I can pick my favorites and order from Kathy. Not quite, although my last swap mini was 2 solids and 1 print. I love the intensity of some of the solids. I'd like to try some shot cottons for some subtlety. Begged my mother for a Kona card for Christmas. Have used it twice to order solids, and they were just as I needed. 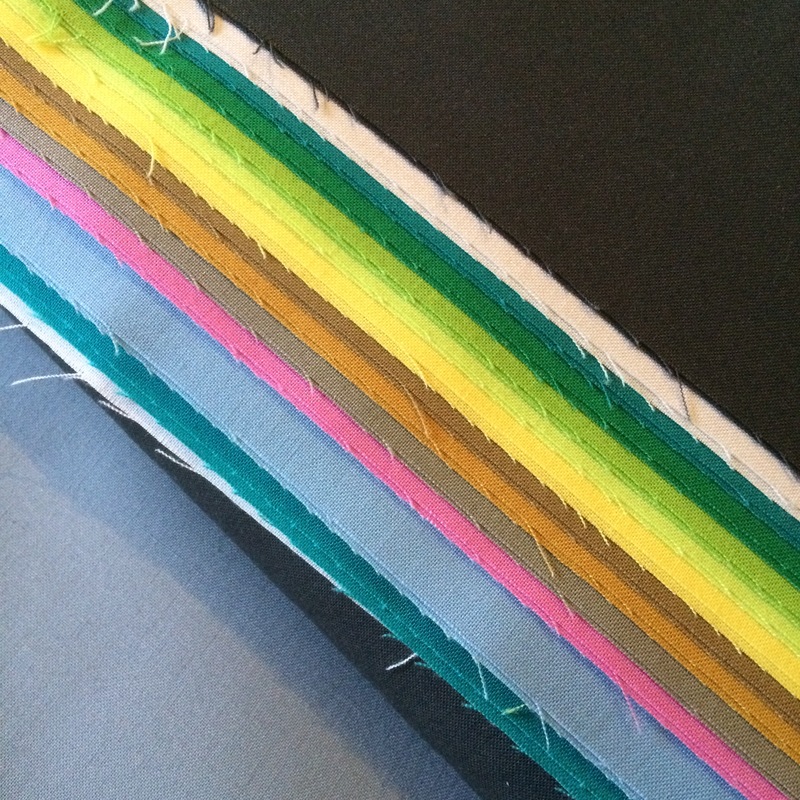 I seem to like solids in every quilt, but I haven't done an all solids quilt…yet! Hey Amy — I have one of these color cards, and it definitely helps with the decision making. At least I can narrow down which colors to order. ;) I have made several solid quilts — 3 as samples for my new business that I haven't posted on the web, but also the McCoy quilt and the Zen mini quilt I just completed. I really love the solid colors and I think you can really do a lot with them. But all those lovely designer patterns are still so very tempting!! 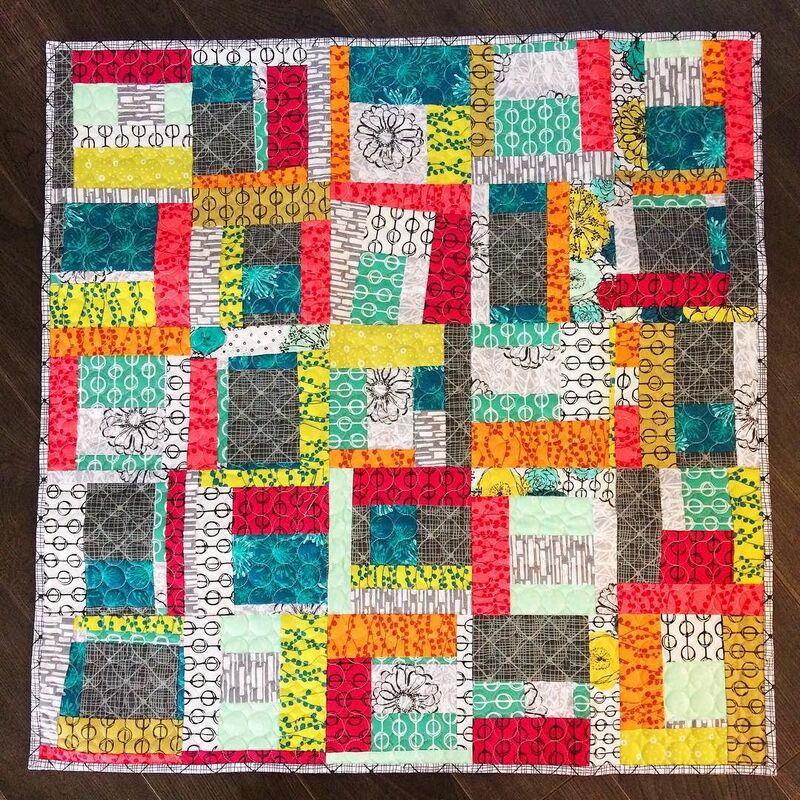 I'm having one of my VQBs do solid blocks for me – I think it will throw a lot of them out of their comfort zones, they're all very traditional quilters who doesn't seem to use solids much. A girl after my own heart! I've lost count of my solid quilts now, everyone should make one (or 20!). Thanks for the RT about my book. I have not yet made a quilt using just solids, but it is definitely on my "list of things to do". I invested in a Kona Solids color card last year, and I have to say, it has certainly encouraged me to push the envelope a bit with my color combinations. So useful. And so pretty! I have! using my own hand dyed fabrics. There is one lap quilt waiting to be binded which was initially destined for a friend who reads this blog but since she's tall, i will reassign the quilt to another close 'short' friend. I bought that color card and LOVE it! 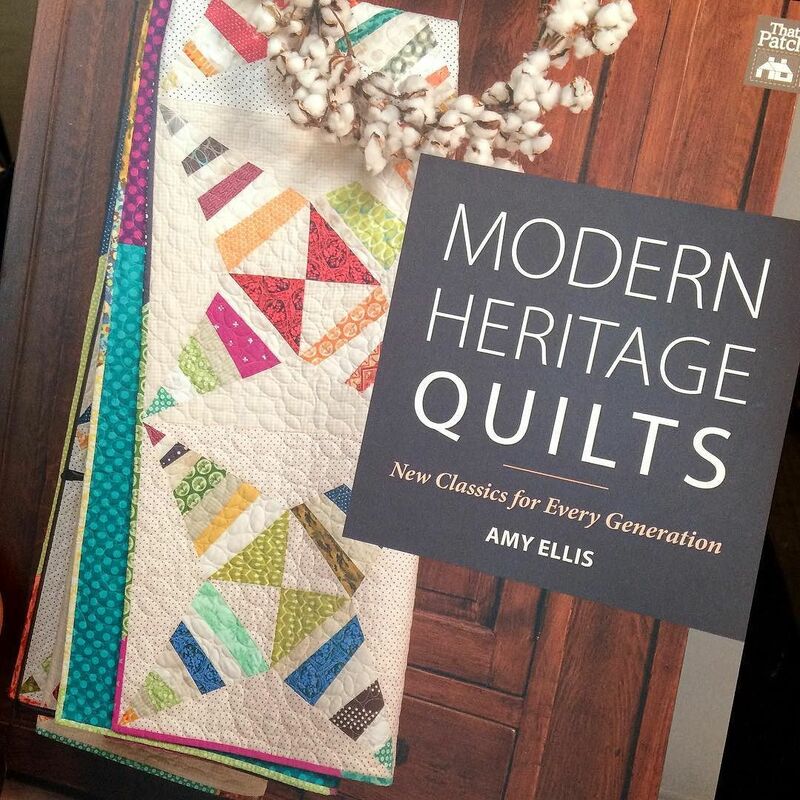 I think I want to join this group one of my bloggy friends told me about… and make a solids quilt. I'm a bad person, I got the color card….LOVE IT!! Actually, I loved seeing all the colors so much, I got charm packs of all the colors, so now I have small samples and 5" square samples to stare at!! I have a colour card – it's awesome! I'm sure you've read about my year long goal/project to use all 200+ Kona Solids in solids quilts this year. I have the card and love it. LOVE. But you know what's worse Amy? The growing stash of Konas folded up neatly in a pile….solids are so pretty. I really like that. I haven't made a solid color quilt before but it is tempting with so many pretty colors! I know that over at Franseen, she is doing a paintbox quilt along using just solids. That was tempting! I'm making…currently. 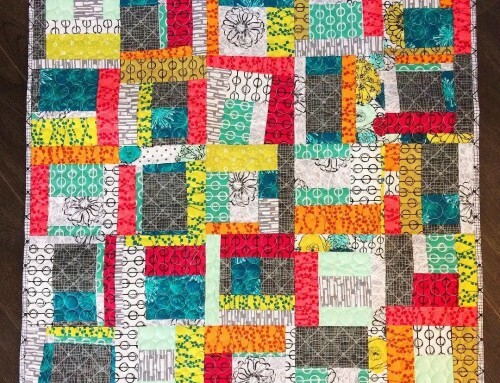 Following the "Framed Rectangles" pattern posted by Mary of Mary Quilts. Lime, turquoise, white, and green — all Kona, but I don't recall the bolt colors off-hand. It's pretty…bright! The backing is a cute "Happy Monsters" print — they remind me of little flourescent Frankensteins with sweet zig-zag smiles. It's for my nephew's birthday; he turns 2 in November! That is a nice idea, sometimes I hate having to try and find things in stores. Would be nice to match colors up first. Yes done a couple of traditional Durham wholecloths (technically all solids!) But I do have some wonky logs on the go in solids too! I love my Kona color card! When it came in the mail I just stared at it. I tried to pick my favorite color but it's too hard! Speaking of dyeing – did you ever do those curtains? ooh! Stream of consciousness thinking…One of the things I'm noticing about people that read my blog is that some of the SIMPLEST things I take for granted are BRAND NEW to many people. 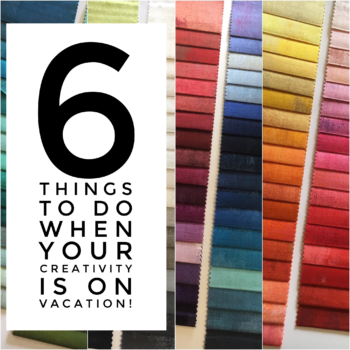 How fun would it be for you and I to have long distance fabric dyeing lessons, via blogging??? A great way to show beginners how to dye! This is so great – like paint chips, only better! I don't have the Kona color card. What I do have is a stack of unidentified Kona solids. Learned my lesson though and now write down info from the bolt when buying. Hope to become such a prolific quilter that I need a color card. And yes, I would love to make an all solid quilt…maybe my second or third year quilting. I have never heard of such a thing! How cool. i didnt know they even made all those colors so how do you find them all? I'm just starting my first solid quilt. Oops! I'm supposed to be cutting fabric right now! fsdzhhhhh is Me! Grrr Want a teenager. Curtis used the computer and didnt sign out of google. I didn't notice till. i posted sorry Amy. oooh thats so cool! what endless inspiration. i wonder what you'll do with it in the long run – hang it on the wall? Amy, this is so weird that you posted about solids today. I was JUST thinking of what to do with a bunch of 1/4 yd solids I recently acquired. In the past I haven't like solids, but now I'm trying to find a pattern I'd like to use. any suggestions? I'm leaning toward Plain Spoken. nice! i have the moda bella solids card… so helpful!